With its juicy pops of colour and clean lines, the new Flexa Popsicle range celebrates the perfect late-summer fruit inspired colours. 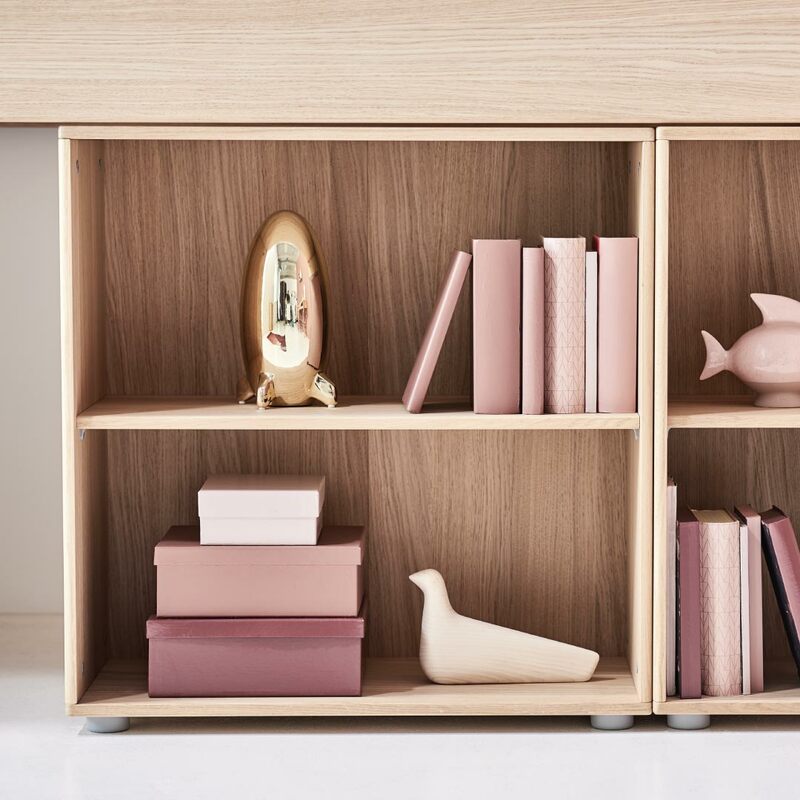 Designed and made in Denmark, the Flexa range understands the unique needs of little people. These products are created to adapt to children as they grow. Made from high-quality wood grown slowly to reduce knots and future wear and tear, this range is versatile, durable, and beautiful. To celebrate the new Flexa Popsicle range, we cannot get enough of fruit inspired colours. Here are our favourite colours inspired by nature’s harvest. With its deep reddish pink hues, cherry is a surprisingly versatile colour that works for both boys and girls. The Popsicle range brings in gentle touches of cherry through clever details. Take the Popsicle Bunk Bed in Cherry for instance. Featuring a solid oak base, with rounded edges, a solid straight anti-slip ladder, and muted cherry support structures, this bed will last throughout your little one’s childhood and tween years. Pair with bright pops of strawberry and grapefruit to continue the pinky red theme or add splashes of orange, apple, and grape for a brighter effect. 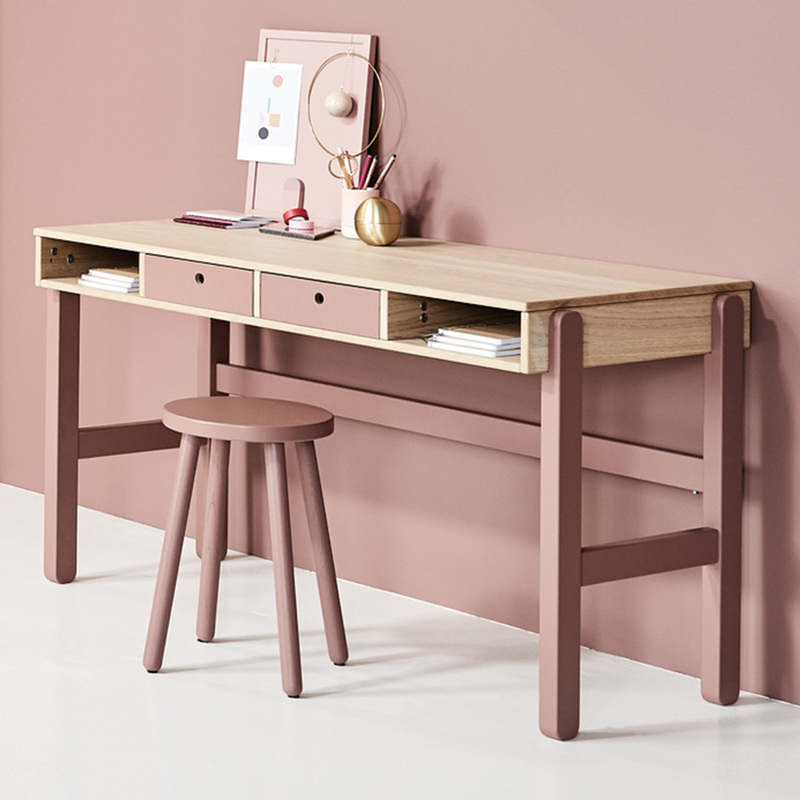 The Popsicle Study Desk in Cherry pairs well with the bunk bed, continuing the muted red and pink tones. With an oak surface and cherry metal legs, soft cherry fronted drawers are available as extra touches for this adorable desk. Ideal for boys, or girls who prefer blue tones, blueberry offers a deep, vibrant shade that is somewhere between navy blue and grey blue. The Popsicle range offers a muted shade of blueberry that is versatile and contemporary, working well with other fruity hues such as apple, banana, cranberry, guava, orange, and lime, as well as with white, black, neutrals, and denim. The Popsicle Mid-High Bed in Blueberry offers plenty of space for smaller rooms, while still giving kids the thrill of sleeping on the top bunk. The space below can be used to store toys, or it can be used as a play area. This bed features a sturdy oak and metal construction, along with a non-slip ladder. 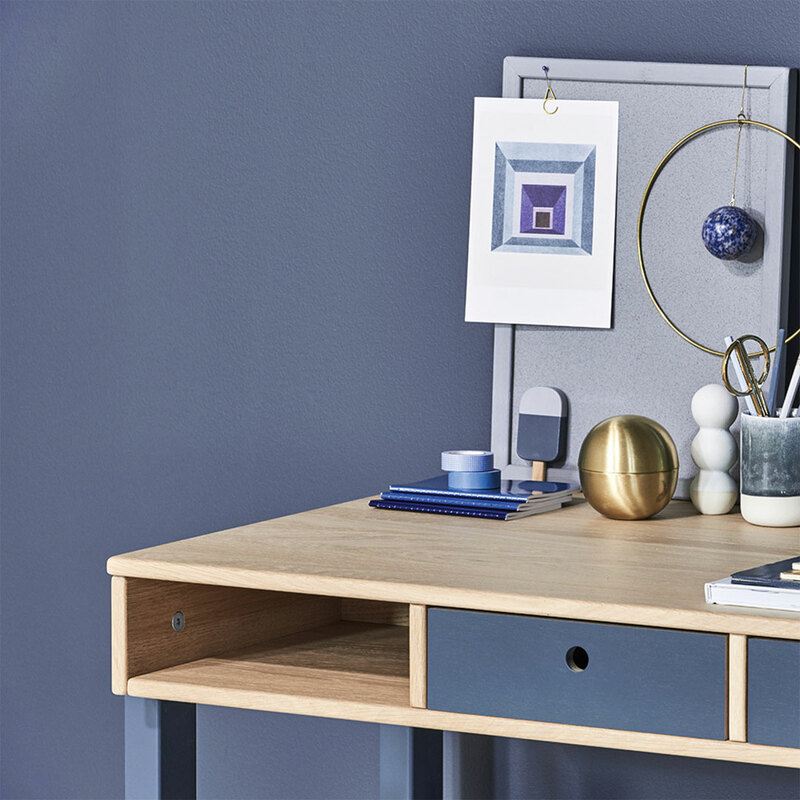 Pairing perfectly with this bed is the Popsicle Study Desk in Blueberry. 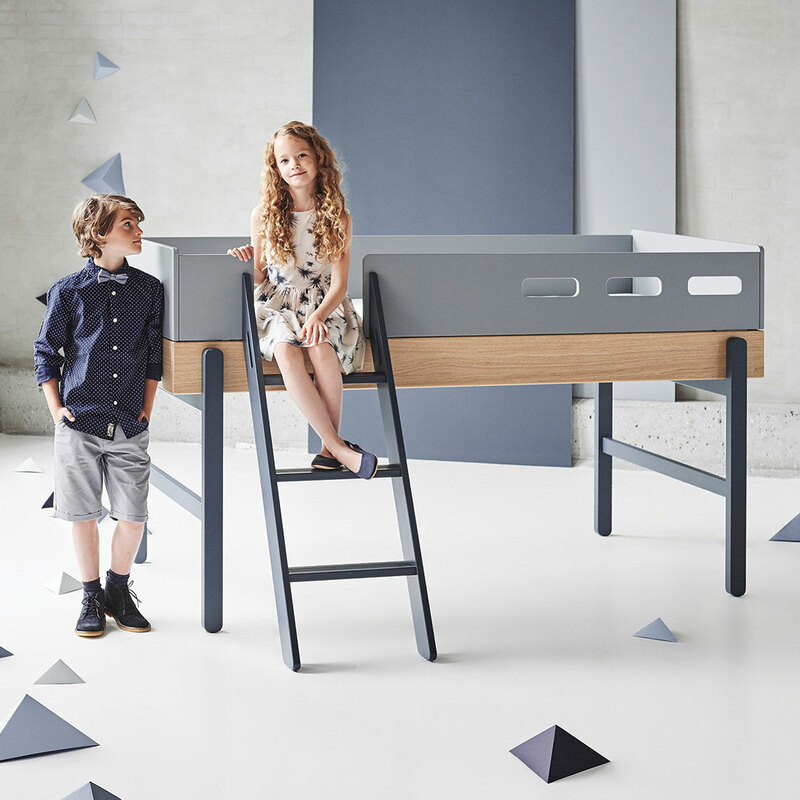 This desk has a Nordic design that is simple enough to adapt to your child’s needs as he or she grows. 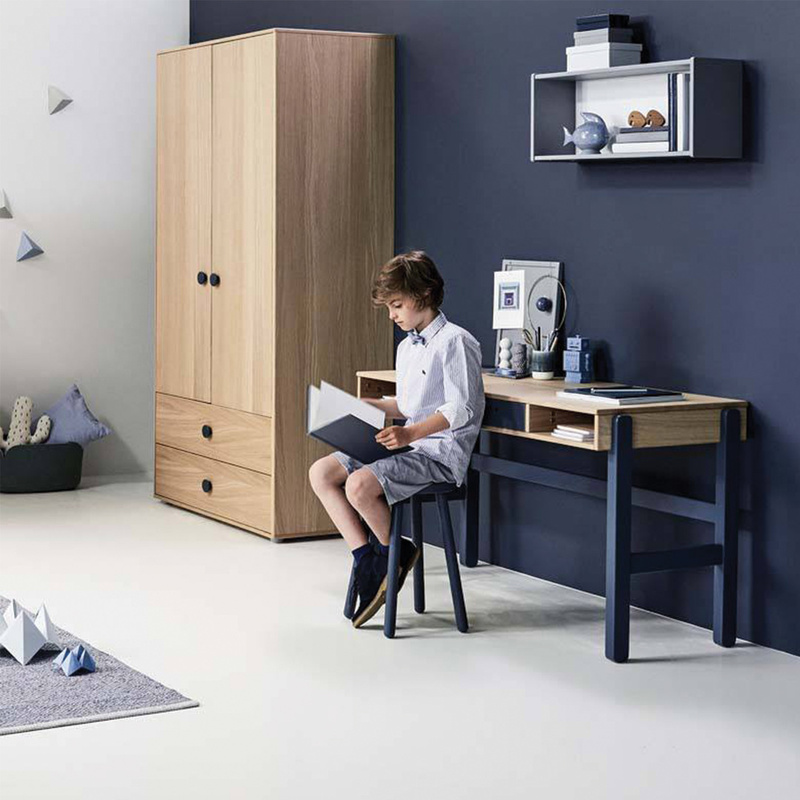 The combination of oak and soft blue work well with just about every decor style, for boys as well as girls. Look out for the brand new Flexa Popsicle range at Clever Little Monkey, and enjoy its contemporary fruit inspired colours and flawless design.